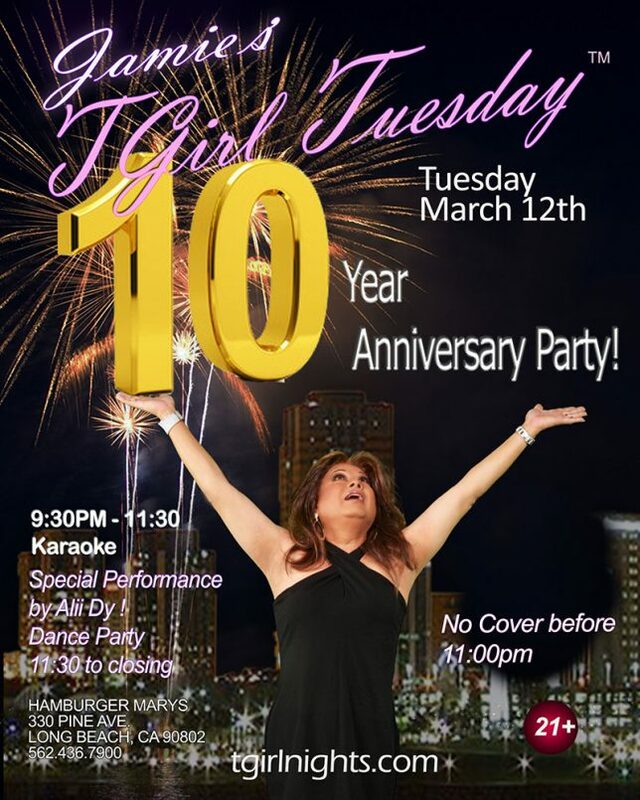 Tuesday Night Marks 10 years of TGirl Tuesdays and we have a Huge Party in store!Special Cake and a Performance from Alii Dy along with a GREAT Dance Party as well! Over 2000 Photos streaming as well during the evening so come party at our GREAT Night! 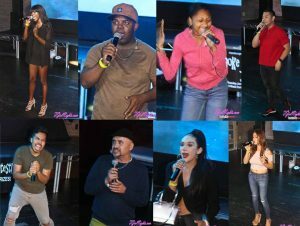 The “FALL CLASSIC” Karaoke Sing Off is BACK! 3 Weeks of Qualifying starting Tuesday Sept 4th, 11th and 18th. 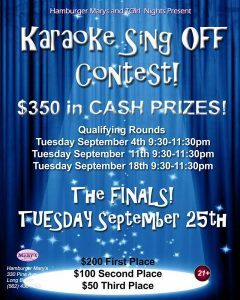 THE FINALS Tuesday Sept 25th $350 in CASH PRIZES! Huge Audience Event! Signups Start at 9:15. Singing from 9:30 to 11:30. This will be AMAZING! 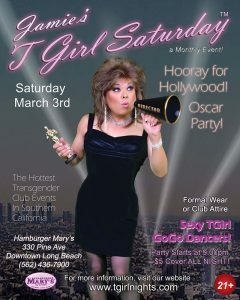 Our next Saturday Party is on Academy Awards weekend (March 3rd) so we are doing a Hooray for Hollywood Theme Party! Formal Attire or club wear.. it’s going to be a GREAT Night so Come Party with Us! We had an AMAZING Holiday Season! We Wish You all a Merry Christmas and a Happy New Years! This Tuesday! 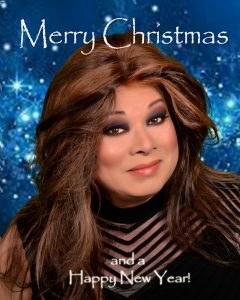 at Hamburger Mary’s Long Beach… Singers come Sing! Fans come Cheer! 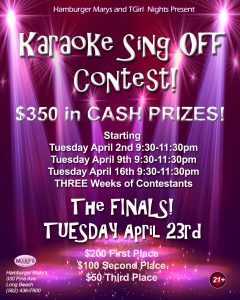 as we do ROUND THREE of our Karaoke Sing-Off Contest..Finalists are entered into THE FINALS Tuesday June 27th with THREE HUNDRED AND FIFTY DOLLARS IN CASH PRIZES!